Inspiration and Rough Drafts: My Exercise Goal: Achieved! It was a busy, stressful week at work so this weekend is all about relaxing and recovering. After five days of hunching in front of the computer, fielding urgent requests and navigating negotiation calls, my shoulders were permanently tensed and up to my ears. I had a SpaFinder gift card so I scheduled a 60-minute massage at Urban Oasis to work out the kinks. My neck, shoulders, and back needed it! A dinner of Mexican food and a margarita led to reading a magazine, passing out on the couch and then stumbling into bed for a long night's sleep. Today has been full of beautiful sunshine... and more moments of relaxation. I hit a yoga class this morning and grabbed coffee with a good friend from high school who was in town. I can't wait to spend time with some of my best friends at a rooftop party tonight (congrats on graduating from med school, Dr. J!). And tomorrow, a couple of us girls are doing a CorePower Yoga class at North Avenue Beach as part of this cool event. Speaking of yoga... I had to share the good news that I reached my exercise goal. 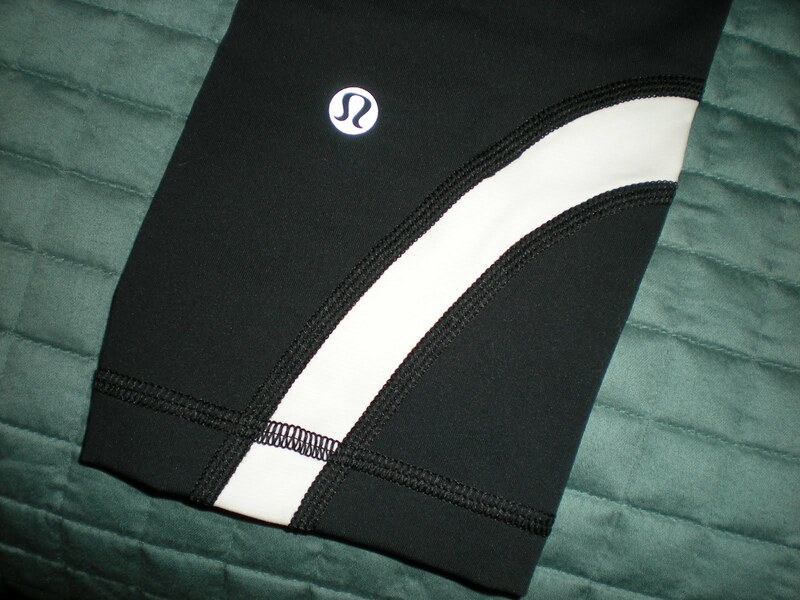 On Thursday, I stopped by Lululemon to pick out my "reward" and had to restrain myself from buying more than one item. After trying on a bunch of cute tops and pants, I walked out with these lovely cropped leggings. Made for running, they are also fabulous for all kinds of yoga poses (tried them out today!). 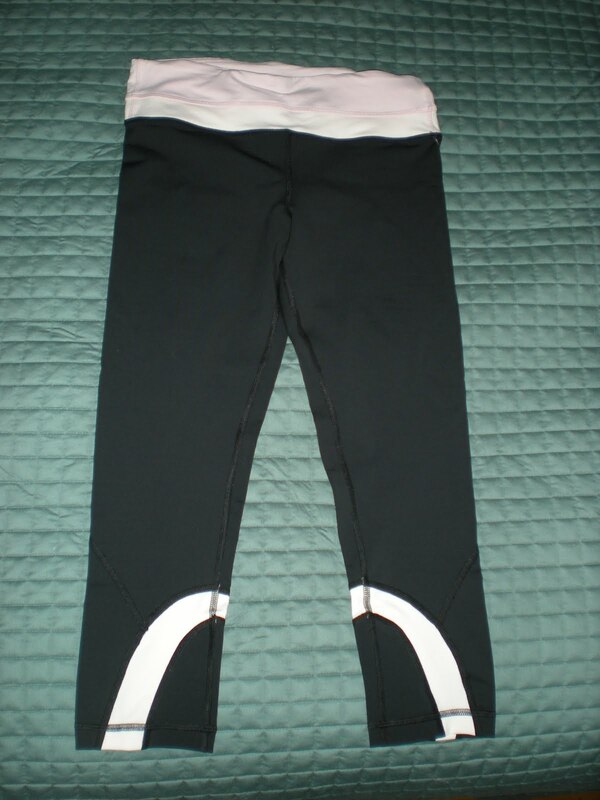 Plus with the fabric that compresses your legs and the seams that cut great lines, they make you feel good and look good. 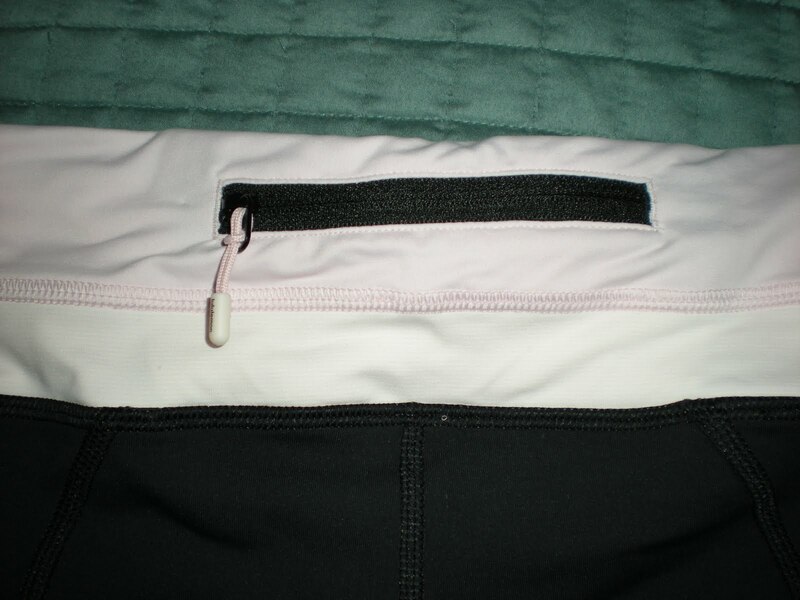 Mine have light pink and white at the waistband and calves, which I didn't see on the site, but there are other cute color combinations. And the best part of accomplishing my goal is knowing I was able to find time to work out three times a week this past month. 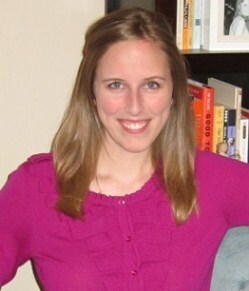 I created a habit, feel stronger, and have found more energy and peace through sweating it out on a regular basis. It's definitely something I plan to keep up... especially since my family's beach vacation is coming up soon! Enjoy the weekend! Find time for yourself to do what makes you happy and allows you to restore your body and spirit. For me, that apparently involves a massage, Mexican food, my hubby, reading, sleep, yoga, coffee, friends, and sunshine. *I'm not getting any compensation from the companies I called out... just happy to share some of the places and things I love.